Pot mouth outer diameter: 28cm(without a lid). Number of recommendations: 2-3 people. 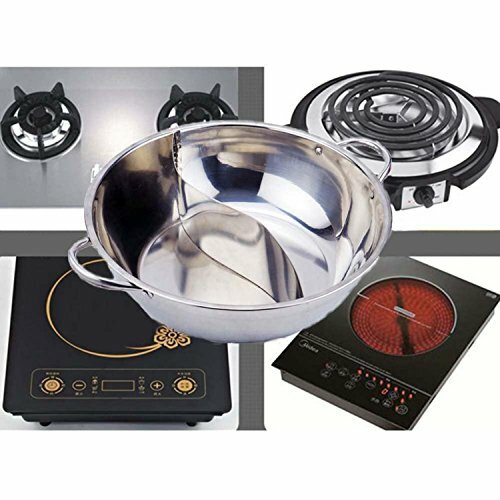 Application: induction cooker, gas furnace, electric furnace, ceramic hob. 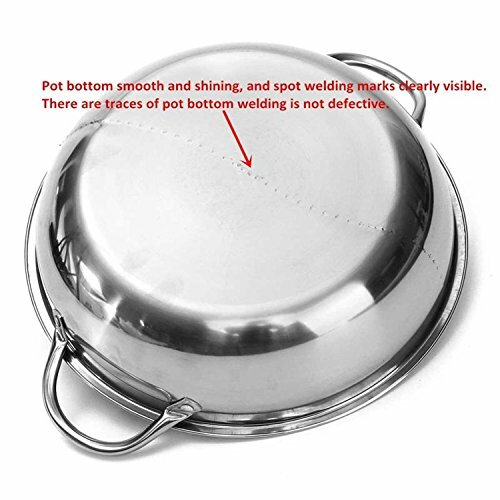 width thicken stainless steel hot pot, high quality welding, polishing. 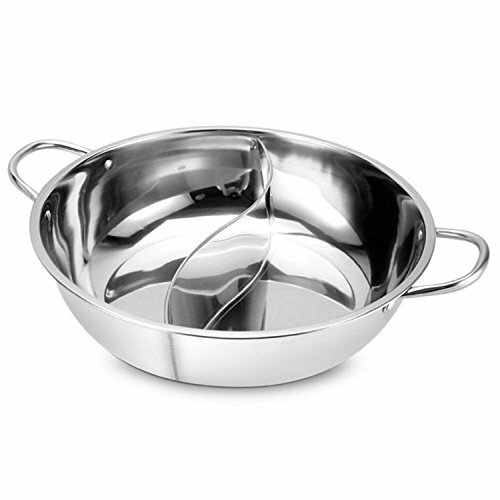 Using food-grade non-magnetic stainless steel, rust resistant. Forming a hollow handle, better anti-scald skid effect. Partition used intensive spot welding technology, more strong and water-tight. No non-magnetic stainless steel pots of little sheep hot pot. Stable connection, durable for long-term use. Stainless handle rivet to body provide durability. Add to Cart NOW to enjoy your baking experience like never before !! 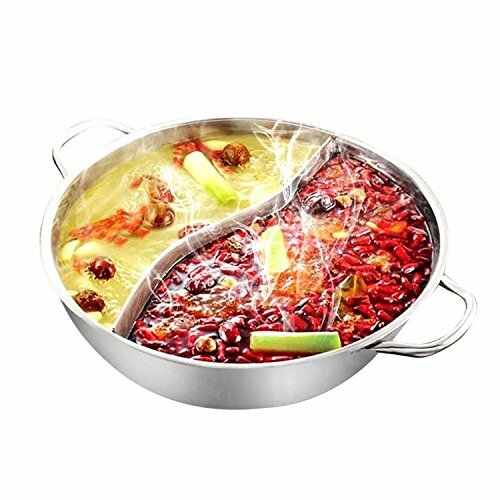 Package included: 1x Stainless Steel Hot Pot (Without A Lid); Product diameter: 28cm,You can cook for 1-2 people. Material: stainless steel, corrosion resistance. Stable connection, they are durable for long-term use. Color: Silver (as picture shown). Twin Divided Cookware - Separator with a S type stainless steel clapboard, welding technology, more robust and more impermeable. Thickening pot bottom, conduct heat evenly, cooking fast. 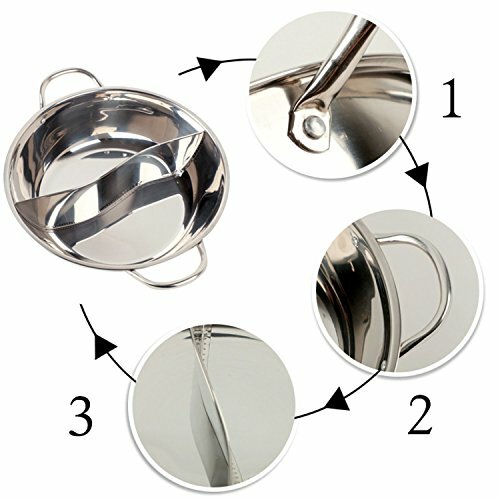 Ear pan hang hole for easy storage and carry. Environmentally friendly and reusable. 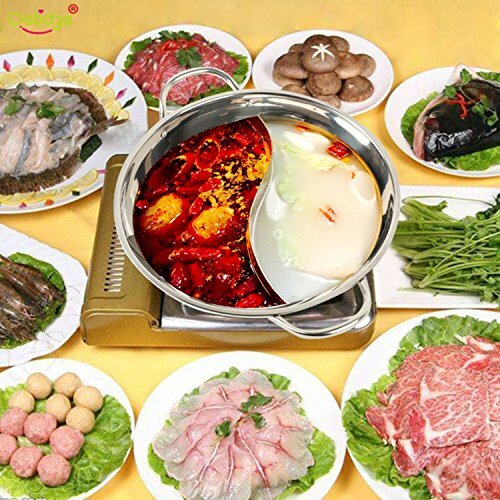 You can eat different food in different taste, enjoy your hot pot time. Mirror polished stainless steel, inside and outside capsulated bottom for heat distribution.